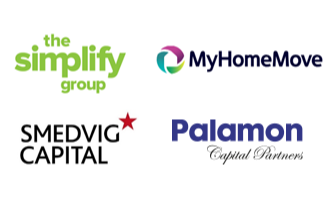 Smedvig Capital are delighted to announce that My Home Move has been acquired by Palamon Capital Partners-backed Simplify Group. The businesses will be combined under the group name Simplify to become the largest conveyancing services business in the UK. Together the two groups will leverage their complementary strengths to build on the services they currently provide to customers and partners. Smedvig will continue to hold a significant minority stake in the business. In addition to giving introducers and customers access to the largest and most technologically advanced platform in the sector, the merger of Simplify Group and My Home Move will create a £175 million EV business. Following the transaction, David Grossman, CEO of Simplify Group, will lead the Company. Smedvig were advised by KPMG and Ropes & Gray LLP. London based, VC firm. We are passionate about finding and supporting the best Series A and Series B stage tech enabled businesses. We pride ourselves on developing a deep understanding of the sectors we invest in. We work with ambitious teams to build great businesses.